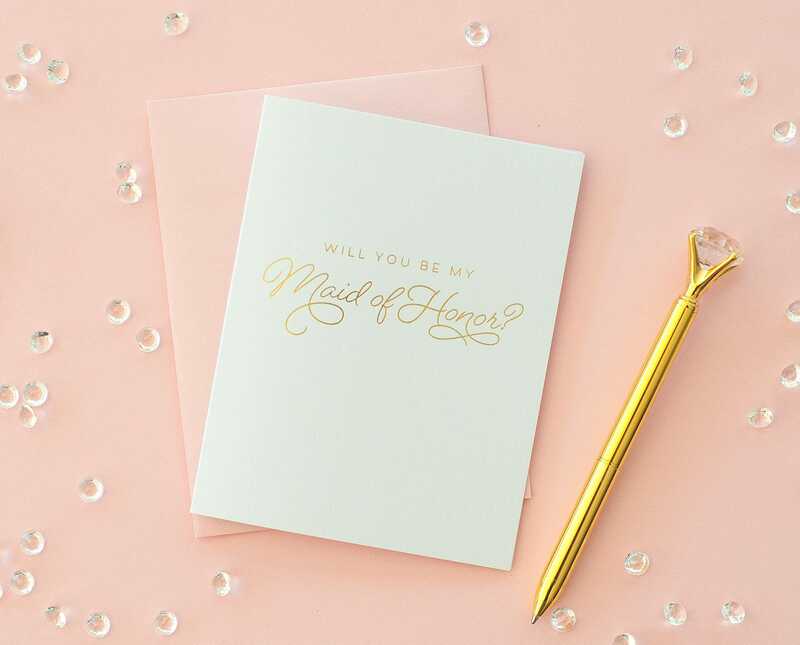 Ask your attendants to join you in refined, sophisticated style with these real gold foil Will You Be My Matron of Honor cards. 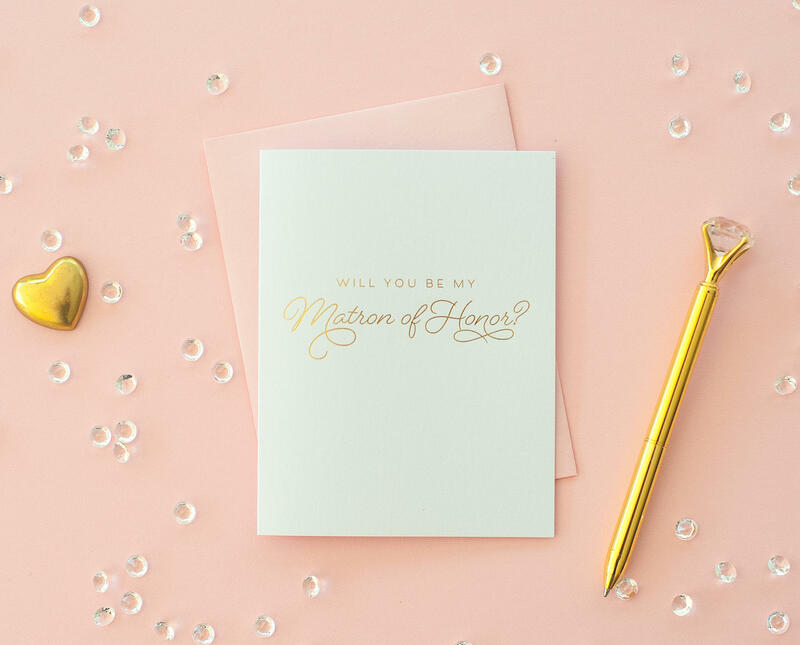 They're the perfect, elegant touch to your matron of honor box with an elegant script. 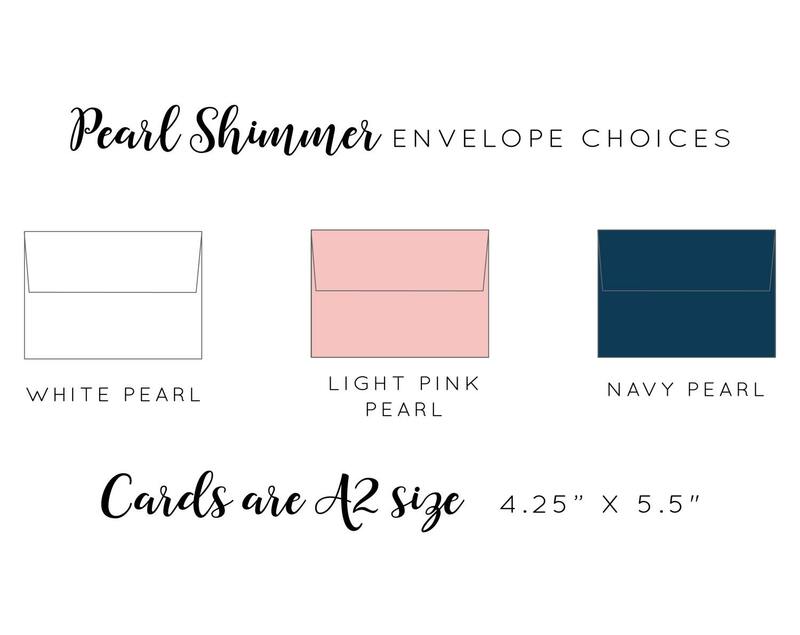 They are also large enough to mail on their own. 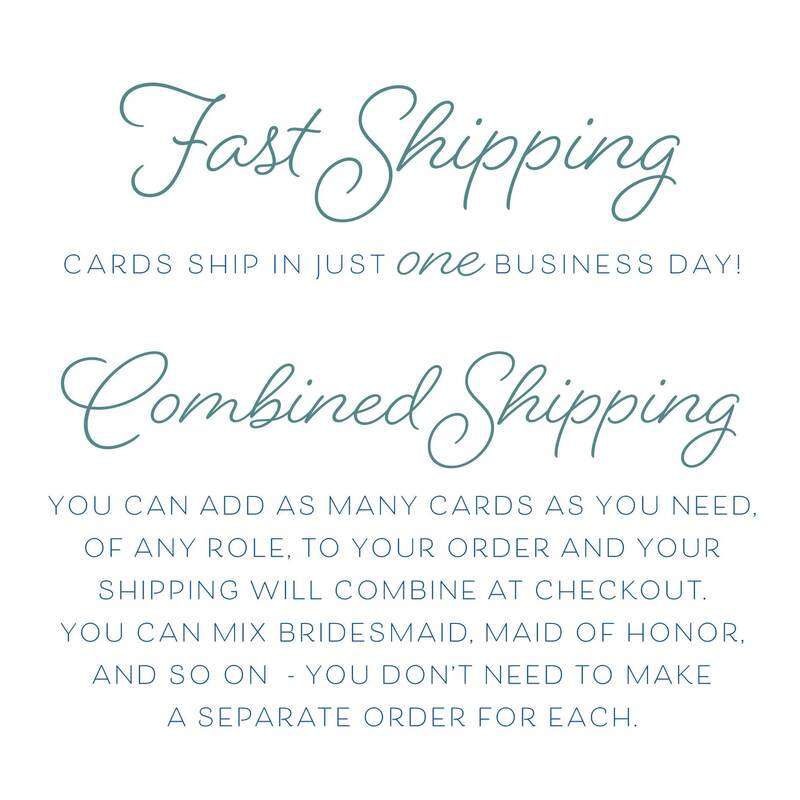 This new size is larger than the rest of our card line and a great option to mail as your bridesmaid proposal. 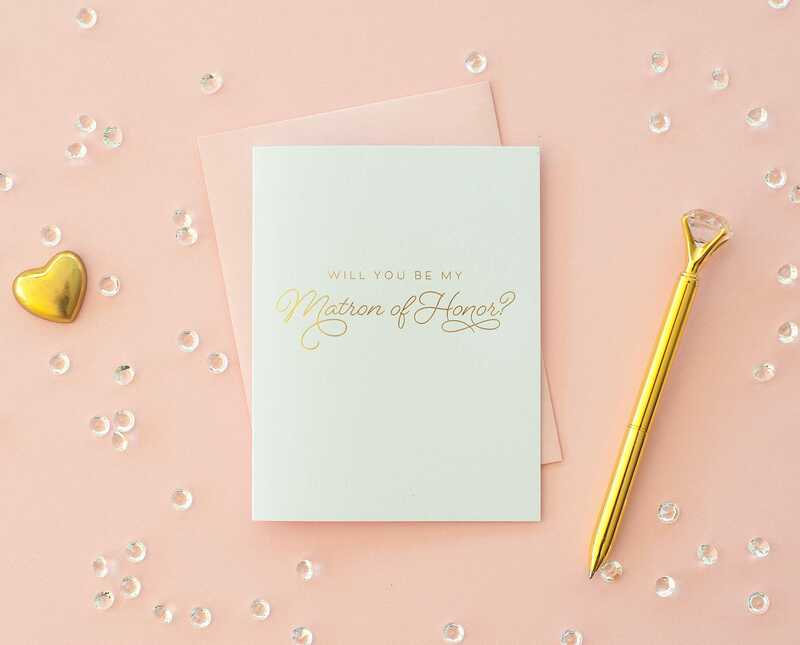 No home crafting machines here - these stunning pearl shimmer notecards are authentically stamped with a plate process leaving a slight indentation where the foil remains, akin to a letterpress process. 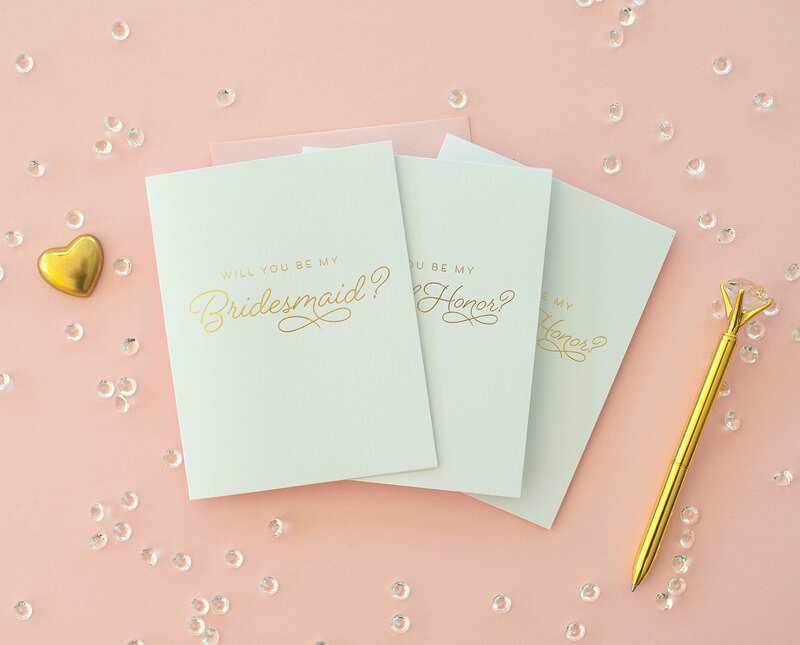 This old fashioned method leaves the most lasting impression, with no peeling or flaking foil, and sits just below the surface of the paper for a stunning tactile finish. 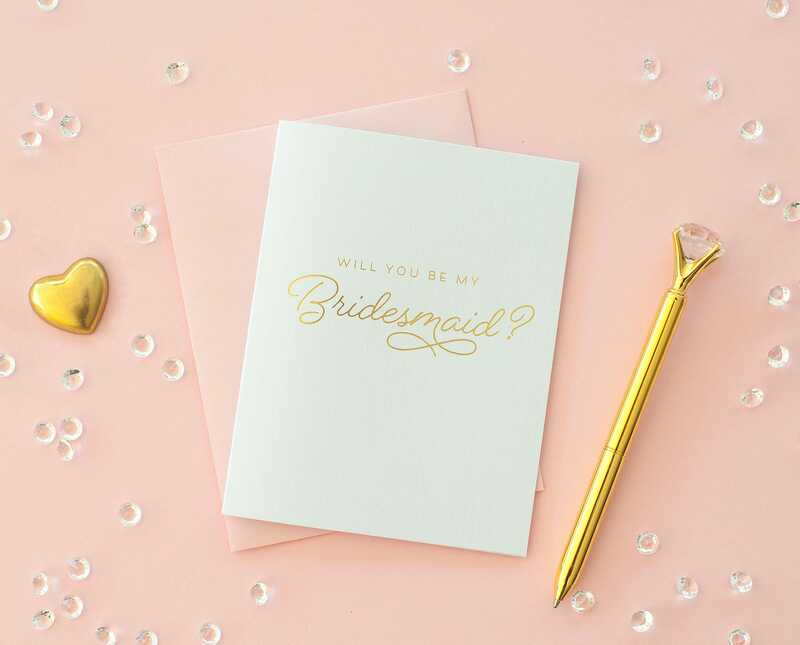 Use these bridesmaid invitations ask your attendants to join you on your special day. 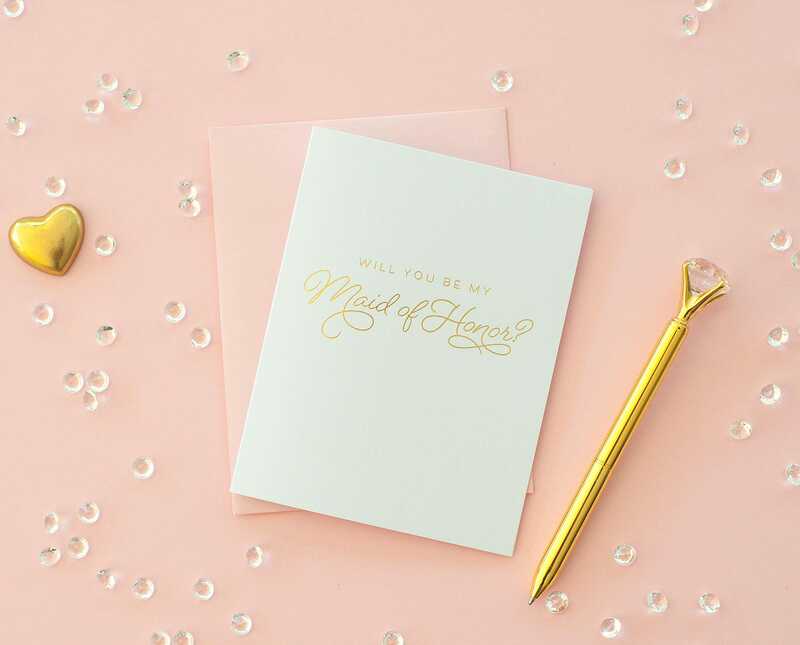 Available in bridesmaid, maid of honor, and matron of honor stamped in real gold foil.